Available in long rolls, thus length is not a defining dimension, and just an arbitrary long length was put in. Intensely complex organic design that is nonetheless abstract, and has a certain simplicity arising from the internal repetitiveness of the pattern. Material is unique in that uses a technique pioneered by Fortuny that allows the colors the shade lighter and darker. 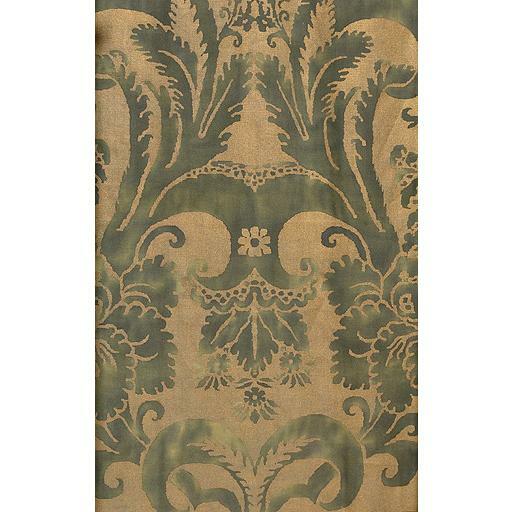 Still produced by the Fortuny fabric company.